Ninety percent of mothers believe their babies skin is not dry. Ninety percent of mothers believe their babies skin is not dry, but 60 percent of those babies have clinically dry skin, according to a Johnsons study on skin maturation. 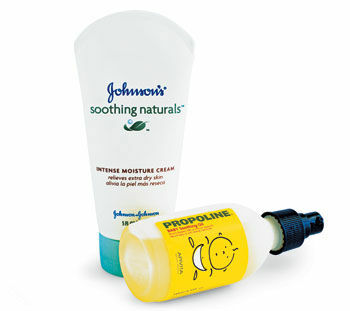 Keep your babys skin soft with these moisturizing lotions and oils: Lil Dipper BabyLotion, $13; Johnsons Soothing Naturals Intense Moisture Cream (shown), $4; and Propoline Baby Soothing Oil (shown), $17.